Saw this on BuzzFeed yesterday and I gave in and just went through the quiz. 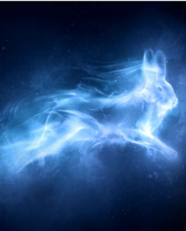 If you don’t know what a Patronus is the concept is from the Harry Potter novels and movies and is conjured up as protection or a weapon (they are kind of like animal spirits of energy). 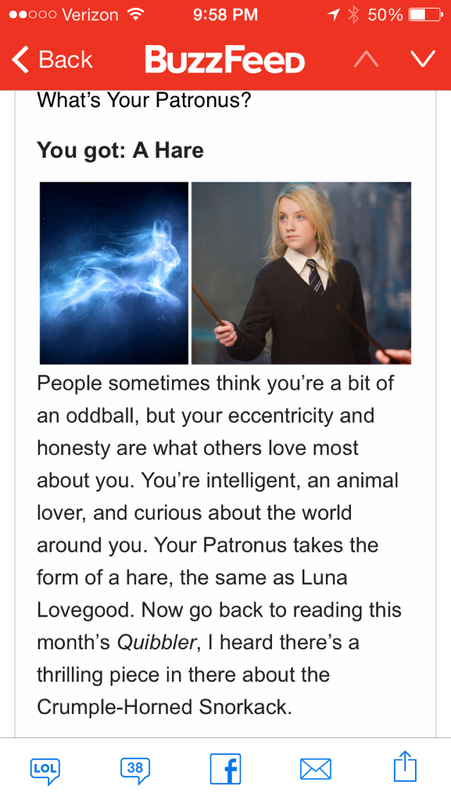 I didn’t even know there was a hare patronus, maybe I just didn’t pay that much attention, I didn’t read the books (except for the very last one) so maybe they just never mentioned that there was a hare. And to top it all off, I was rubbing Peanut’s head (one of our nightly things that we do to relax) I knew there was a connection between Peanut and I…haha!